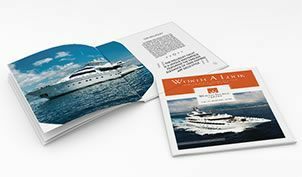 One of the best-kept yacht charter secrets in the Atlantic, Brazil is slowly gaining popularity as a luxury yacht destination, and it’s easy to see why. Along this gorgeous stretch of Atlantic Coastline, you’ll find thousands of beaches, bays, natural harbors, and islands, most of which are uninhabited. Sunshine is plentiful, the emerald waters are calm and crystalline, the ever-present breeze is warm and gentle, and the culture is unique and welcoming, enticing travelers from around the world to this cultural melting pot. From the original natives and 16thCentury Portuguese explorers, to more recent immigrants from Japan, Italy, France, Germany, and Lebanon, Brazil is a fusion of ethnicities, offering a dynamic variety of cultural, historical, and dining experiences. 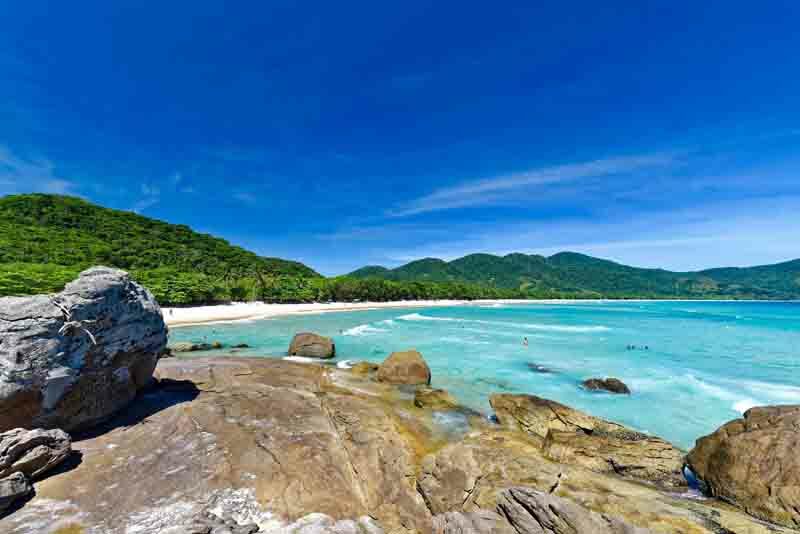 Angra dos Reis, or Bay of Kings, in the state of Rio de Janeiro is the perfect place to begin your voyage. 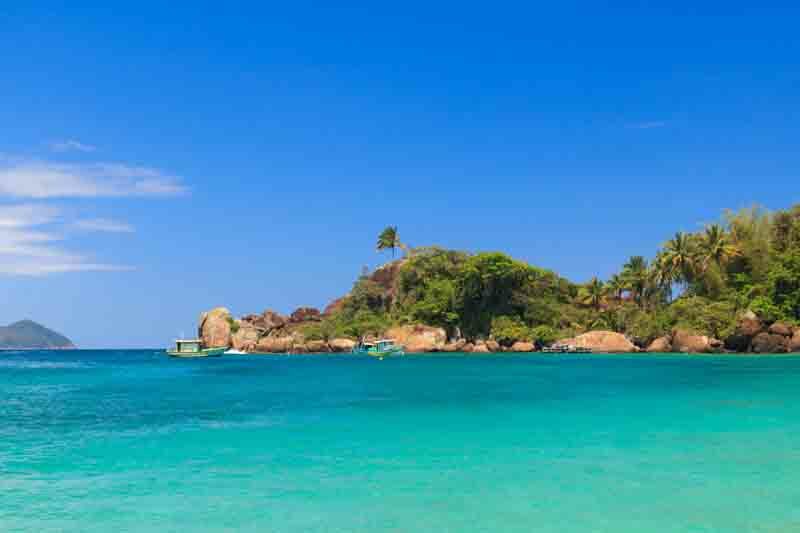 Sheltered by the large island of Ilha Grande, the gorgeous bay is home to more than 300 islands, and the short distances between them offer infinite spots to stop off and enjoy snorkeling, diving, or swimming. Venture ashore to enjoy a private picnic or beach barbecue prepared by your chef, or explore rainforest trails leading to cascading waterfalls and immerse yourself in the splendor within. Brazil is so much more than Rio and Ipanema, and your luxury yacht is waiting to take you there. 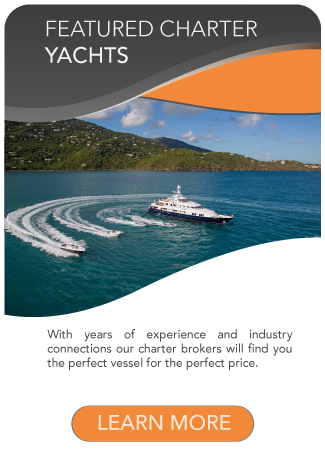 Arrive in Angra dos Reis via charter flight or helicopter from Rio de Janeiro, and head to Marina Verolme to meet your yacht and crew. Enjoy a celebratory cocktail on board as your captain makes way to the village of Abraão on Ilha Grande, where you can sample the local “feijoada” (bean and meat stew). 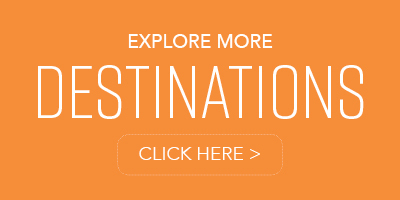 With more than 100 stunning beaches, countless scenic hiking trails, and lush mountainous landscapes, it’s the perfect spot to venture ashore and explore. 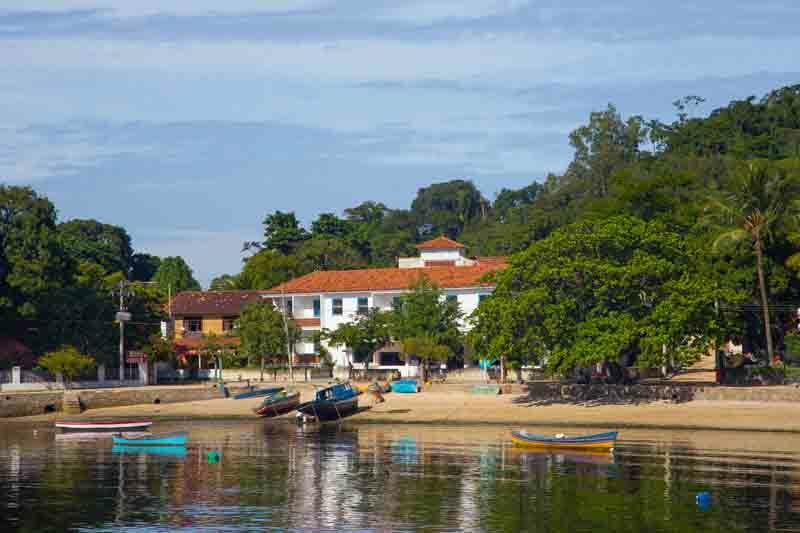 Cruising along coast from Angra to Paraty, you’ll have your choice of anchorages, each one more beautiful than the next. Explore the landlocked cove of Saco do Céu, find a spot to anchor, and then head ashore for a forested hike and a swim under a waterfall. 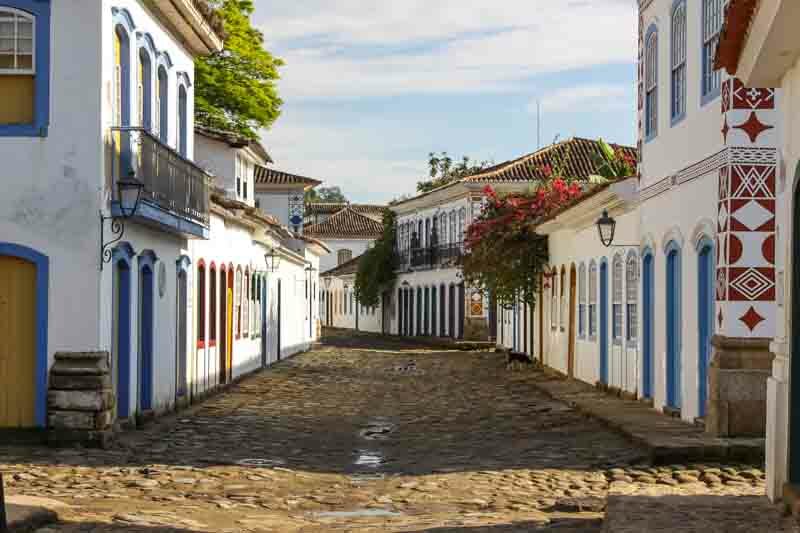 Continue to the enchanting city of Paraty, where you’ll find art galleries, famous restaurants, jazz clubs, and several bars with lively samba dancing. Take a quick jaunt to Praia Grande for sunbathing on its stunning sandy beach, kayaking in the gorgeous waters, or simply trolling along the coast. 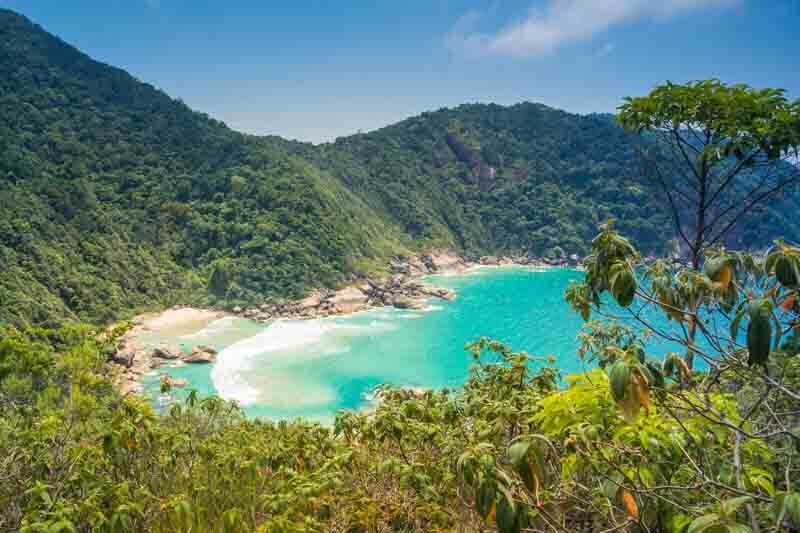 Set out for Saco do Mamanguá, home to Brazil’s only fjord, with majestic towering rock walls jutting into the lush rainforest, and then continue to Ilha da Cotia to find a secluded anchorage and take in the panorama around you. Brightly adorned horse-drawn carriages are the only “vehicles” you’ll see, as no cars are permitted in this quaint, leisurely village. For a chance of pace, dine at Chez Dominique, serving up the best French food in the region. 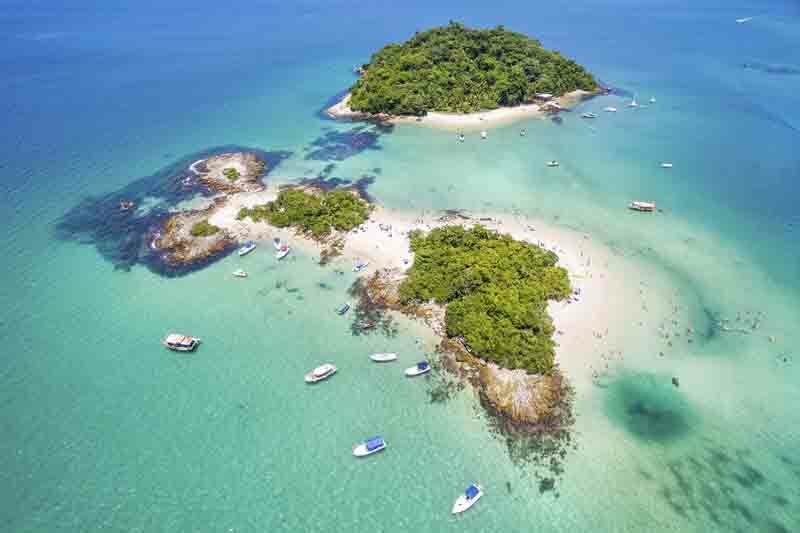 As you make way back toward Ilha Grande, stop off at one of the many islands in the Baía da Ribeira, an idyllic spot to swim or splash around with the yacht’s water toys. Anchor out near Araçatiba, known for its abundant fishing and reflective aquamarine waters that may turn phosphorescent at night. 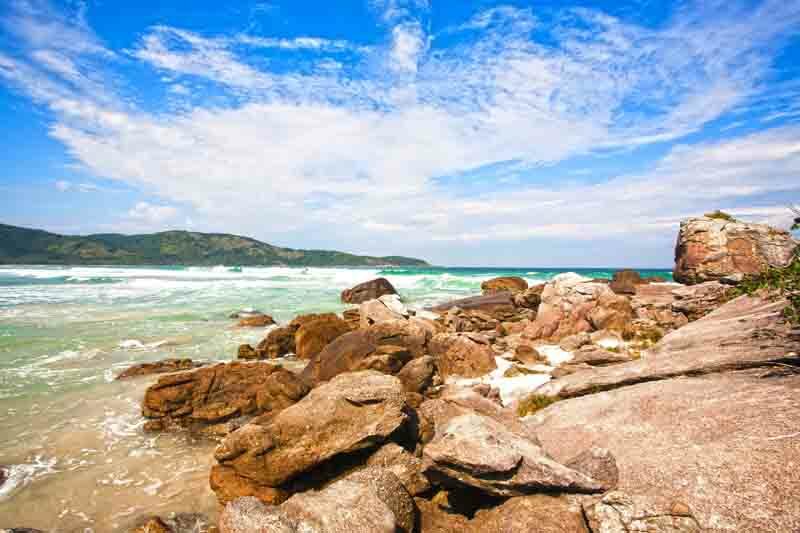 If weather conditions are favorable, take a counterclockwise turn towards Aventureiro, a rugged bay surrounded by tumbled boulders forming serene pools. Continue to Parnaioca, a nature-lover’s paradise, where a flowing river finds its way down to the unspoiled beach. Cruise around to the tip of Ilha Grande to Palmas and find a serene anchorage, enjoy a cocktail on deck, and take in the beautiful views. 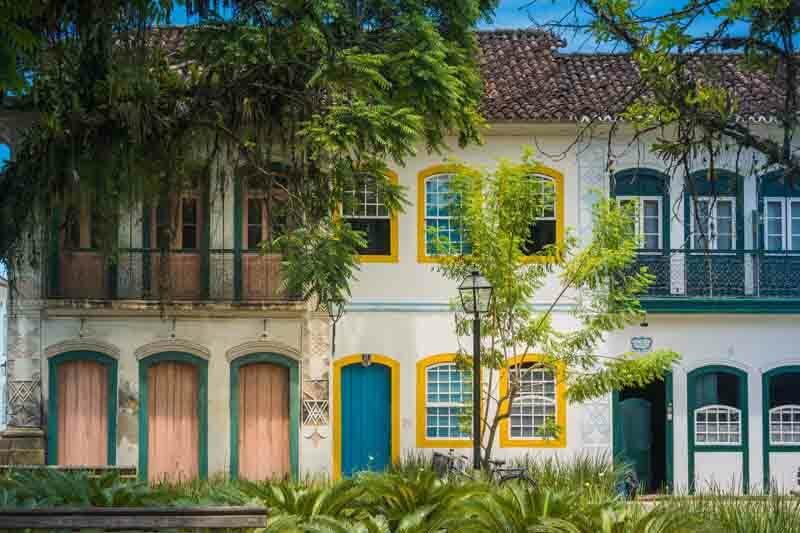 After navigating through this beautiful oasis of more than 300 islands, return to Angra for your ride to São Paulo for some last-minute shopping and dining. 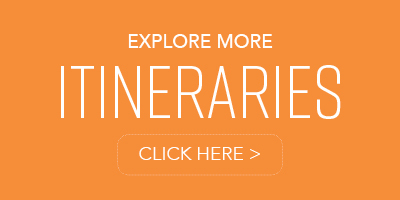 Or head to Rio de Janeiro to take in landmarks, such as the iconic Christ the Redeemer statue. However you choose to end your journey, it will surely be the perfect finale. 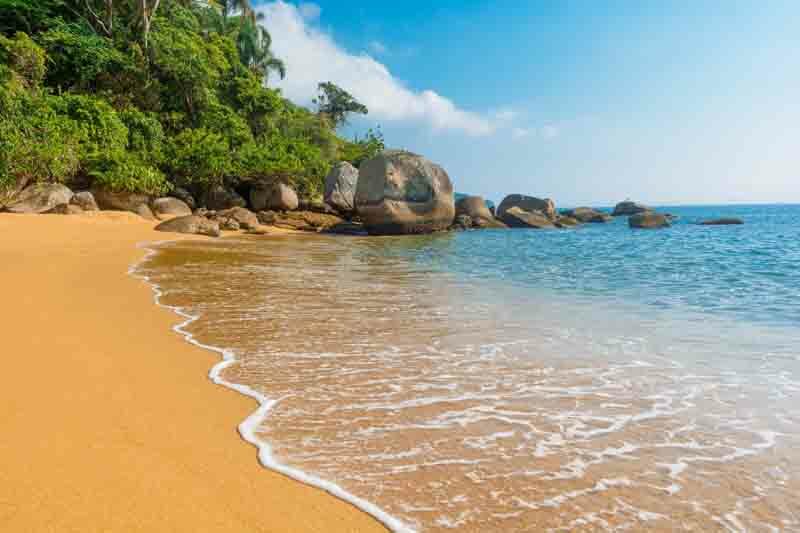 CLIMATE: The climate on the East Coast of Brazil is very diverse although it does stay relatively warm, making it a great destination to visit any time of the year. 90°F(32°C) and lows of 79°F (26°C) to 76°F (24°C). The weather in the Guanabara Bay area is usually warmest from November to April with highs of 86°F (°C) to 90°F (°C) and lows of 73°F (23°C) to 75°F (24°C). The weather from May to October is coolest with highs of 80°F (27°C) to 84°F(29°C) and lows of 63°F (17°C).